The Willow Creek mitts are named after one of the new AVAs (American Viticultural Area) in the Paso Robles area, the Willow Creek District. It includes the rolling hills west of Highway 101; some of our favorite wineries such as Cypher and Turley have tasting rooms in this area. The most common varietals grown include Syrah, Cabernet Sauvignon, Chardonnay, Viognier, and Grenache. 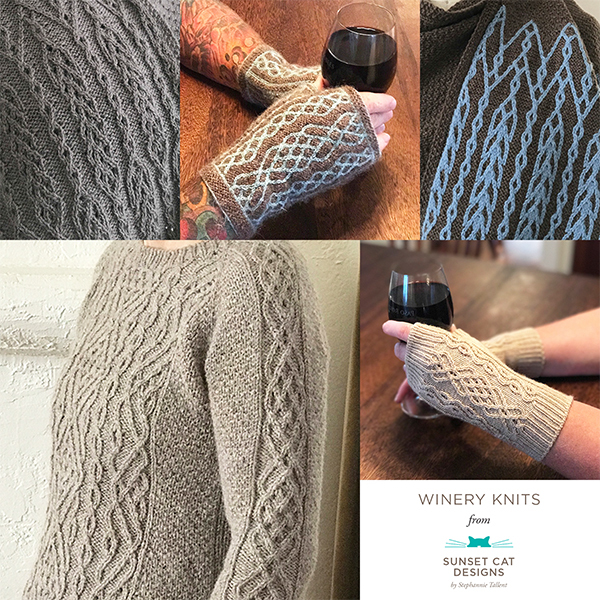 Read about the Winery Knits collection here. Previous post: New Shawl Bundles!